At half an hour’s distance from Puri is the town of Satyabadi, dense with Bakula trees. Almost a decade ago, Shilpa Shetty had landed in trouble here. A century ago, a school established in these forests revolutionised Odisha’s education scenario. A few millenia ago, a temple built here gave the place its identity. The quite town of Satyabadi turns active every year on the occassion of Amla Navami in the Hindu month of Kartika. It is on this day that the lively golden image of Radha housed in the grand Sakhigopal Temple is dressed in the typical Odia-woman attire instead of the usual ghaghra-choli. As a consequence, the feet of Radha are visible, and Hindus consider it to be an auspicious sign- and thus the need to celebrate it. What’s amusing is that the town of Satyabadi is in Odisha, and so everything in this temple is built in the Kalingan style- from the lions at the main gate of the temple to the ‘temple’ itself. Everything, apart from one of the deities enshrined in it, whose features reflect the art of North India. Krishna’s image enshrined in this temple, carved out of excellent dark stone, is called Gopinatha. This is a deity who has travelled a lot- from Vrindavan to Satyabadi, his present home — via Vidyanagar, Cuttack and Puri. Vajranabha, Krishna’s great-grandson once wished to carve out an idol of his great-grandfather so that he could make up for his longing to gaze upon his form. Uttara, Abhimanyu’s wife was the only one living of all those who had seen Krishna. From Uttara’s descriptions of Krishna, Vajranabha carved out eight idols of Krishna from an imperishable stone called ‘Vajra’- each one of them had one feature exactly as Uttara had seen it. Vajranabha kept all of them in different temples spread across all of North India, and Gopala’s temple was in Vrindavan. Vrindavan had always been famous for its Holi- a Holi far more spectacular than anywhere else. It saw pilgrims from everywhere, even from far southward regions- like the small town of Vidyanagari by the Godavari. Among countless pilgrims were two whose story would be remembered forever- an old man and a young lad from that small town of Vidyanagari. The duo had finally reached the final destination after six years of pilgrimage- Vrindavan. The younger, named ‘Satyavadi’ humbly served his elderly companion who suffered from a colic disease for the entire period. At the end, when both of them reached Vrindavan on Dola Purnima, a joyful marriage procession passed in front of them. It turned out that amidst splashes of colour, a newly wed couple were going to the temple of Gopinatha. The scene was so dramatic that it struck to the old Brahmin that his younger daughter Sumati, was still unmarried. Oh, what a fine girl she was! Six long years had gone by, and not for once had he been reminded of his family. His little girl would be sixteen now, and who would find a match for her? What if he died today? Who would then marry his child? As he rose up, his eyes fell on the well-built man in front of him- why, he’d known this lad all this time! This good-mannered lad was the one who would marry his child. What if he belonged to a lower caste or had no money? And so, keeping Gopinatha as witness, the elderly Brahmin offered his daughter’s hand to Satyavadi, who hesitantly accepted the offer to please the old man. As the sun set, the old man’s life fled, after the pilgrimage. Satyavadi performed the funeral rites of the Brahmin and walked back to Vidyanagari. When he approached the Brahmin’s family to tell them of the man’s death and his promise, the wise man’s wife and daughter believed him, but not Sumant, his son. He was thrown out and threatened with a stick- unafraid, he approached the village chief. And so, when the village folk assembled for the judgement, poor Satyavadi was accused of the Brahmin’s murder. When asked for testimony of the veracity of his words, Satyavadi pleaded for a week’s time to go bring his witness, Krishna. The village folk called him mad, but they allowed him anyway. “Idols don’t walk and talk”, they said, but it was all very exciting, and what fun they’d have when this Satyavadi returned empty-handed! And so he set out for Vrindavan once again. Falling down at Gopinatha’s feet, Satyavadi innocently asked him to come with him to tell them all the truth. Not a bit was he surprised when Krishna spoke, “I will come, but I don’t know the way. Keep walking and I shall follow you. Don’t look back, my child, for no one has seen me walking and I’ll be shy if you catch a glance.” And so they started, Satyavadi in front and Krishna behind him. Satyavadi sang songs to Krishna, and Krishna tapped his feet to match the rhythm. From the ringing of his anklets, he knew that Krishna was following him. So they went till they reached the Godavari. As both of them crossed the mighty river and reached the other bank, the tinkling sound stopped. “Oh, has Krishna deserted me before the destination?” Anxious, he looked back. And that was it. Frozen stood Gopinatha- he would walk no more. Sand from the banks of the river had clogged his anklets, and that had subdued. the sound. How foolish of him to have doubted Krishna, God himself! And so it dawned upon him, that God was never lifeless- it was human doubt that had turned speaking gods into mute idols & walking deities to still images. Alas, nothing could move Gopinatha now. Sad, Satyavadi called the villagers to the spot. Amazed, they bent before him and the marriage was a sight worth seeing. Krishna came to be known as ‘Satya–Gopinatha’, Krishna who saved truth and ‘Sakhi–Gopala’, Krishna, the witness. But it doesn’t end here. Years later, the princess of Kanchi, Padmavati fell in love with Purushottama Deva, the Gajapati King of Odisha. The king’s request was rejected by her father who abused him, calling him a chandala, for the Gajapatis had to customarily sweep the chariot of Jagannatha with a broom. It was then that Padmavati touched the feet of Gopinatha and asked him to unite her with his servitor at Puri. Gopinatha heard, and the frozen idol came to life and spoke again- “I will.” After a legendary conquest of Kanchi by Purushottama, the lovers were united. 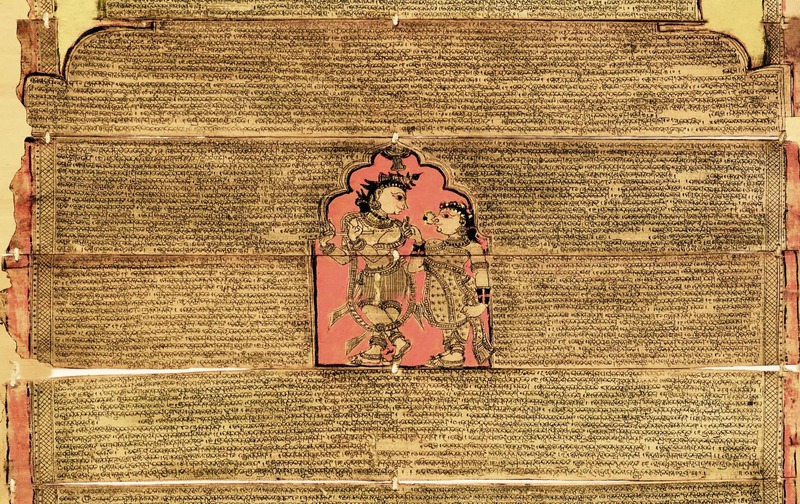 Gopinatha now came to be known as ‘Priti–Gopinatha’, Krishna who saved love. Krishna who saves truth and love. Satya-Gopinatha and Priti-Gopinatha. On his victorious return the king took with him three Krishna idols from Kanchi, all of which he first installed in Cuttack and then brought inside the Jagannatha Temple of Puri. Lord Jagannatha was not too happy- Bala-Gopala from Kanchi would eat up all his butter and Gopinatha would dance away with the Gopis. Poor Jagannatha! That night the King was told in a dream to take the new deities into separate temples across Odisha. Later, Gopinatha was shifted to Satyabadi, which then came to be known after the young man. There, he fell in love with a girl called Lakshmi. Lakshmi considered him her husband and would dance with him. When she grew up and her marital palanquin was raised, sounds of “Lakshmi”, were heard from the sanctum. The king decided that a golden image of Radha would be crafted, and it would resemble the girl, Lakshmi. As the image reached completion, the girl waned and grew weak- the day the image was put beside Gopinatha, Lakshmi died. Years have passed since then but the legends still survive. There are still numerous sightings of mysterious divine dances in the Bakula forest. And when devotees go to visit Lord Jagannatha at Puri, they still come here to have a taste of the wheat delicacies here (not like typical rice offerings in Vishnu temples) and to tell Gopinatha of their visit to Jagannatha- Gopinatha, who upheld truth and would always remember their visit to Puri. My great-grandma never forgot this ancient ritual- not once in her life had she gone to Jagannatha Puri and not to Gopinatha. If at anytime Jagannatha forgot any devotee visiting him, Gopinatha would still act as the truthful witness to remind him. Of course, the local priests had to have a say in all of this. Belive him and he will protect. Doubt him and he will freeze again. As dramatic as it sounds, it is indeed something to ponder over- that belief is the foundation of all cultures.